If you have been injured at your job, or lost the ability to work because of a job-induced disability, you likely will want to file a workers' compensation claim. Insurers in this industry are suspicious of claims that appear fraudulent or overblown. As a result, some insurers investigate potentially dubious claims by conducting surveillance on the injured worker. If you are hurt or made sick by job conditions in Boston or the surrounding region, the workers' compensation lawyers at Pulgini & Norton can counsel you on the possible role of surveillance in your claim. Types of surveillance that insurers may use to investigate possible fraud in the workers' compensation system are private investigations of daily activity, social media sites, hidden cameras, filming medical exams, background checks, undercover agents, and leading questions. In some cases, an insurer uses surveillance not because it believes the claim is wholly false, but because it believes the claimant is exaggerating the severity of the injury or lying about his or her ability to perform a job. The goal of the surveillance is to catch recipients acting in some way that is inconsistent with their claims of pain, injury, disease, or disability. Pain is often subjective, and there are things that people do despite discomfort or pain or against a doctor's orders. If you file a workers' compensation claim, you should be as honest as possible and avoid any exaggerated statements or trying to offer answers to questions based on what you think the insurer or its doctor wants to hear. Insurance companies do not profit by paying large sums for workers' compensation claims, and any inconsistencies or independent medical examinations that suggest exaggeration may result in an insurer using surveillance to monitor you. Sometimes people have been caught on videotape running or doing sports even though they claimed to be disabled and unable to work. On occasion, individuals declare they have no income, but work for another company as an independent contractor. Often, claimants post photographs of their activities on their social media page that they believe only their friends will see, but these photos are witnessed by a coworker or are made public due to changing policies of the social media company. An insurer can use these photographs to deny the claim or challenge the worker's credibility. In addition, a worker who malingers or works while receiving benefits can be subject to fraud charges. Retaining an experienced attorney can help you learn how to respond to inquiries and understand when you are potentially being observed for inconsistencies both in your private life and at an independent medical examination. The work injury attorneys at Pulgini & Norton can represent Boston residents throughout the workers' compensation claim process. 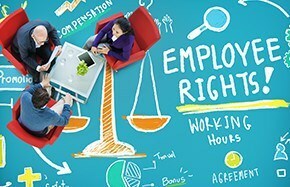 If you are an employee hurt at work, in most cases, you are entitled to a broad range of benefits. However, insurers are often vigilant against the possibility that you have been inconsistent or exaggerated your injuries. We can advise you on all aspects of your claim and the role of surveillance. Our attorneys represent injured employees in Somerville, Medford, and Newton, as well as other cities throughout Massachusetts. Call us at 781-843-2200 or contact us via our online form for a consultation.